Google did not use an animal’s name this time in their latest algorithm update called “in-depth articles”. Unlike other updates that the search giant released in the past, this one did not have a penalizing effect on websites at least initially. Instead, it actually upgraded the search rankings of some big websites that are known to publish long articles. The update immediately benefited news and info sites and it s just a matter of time before we can see how it can benefit smaller sites such as blogs. Since the update has no penalizing effect, there were no complaints aired this time by webmasters at least during the first two weeks when the update was launched. In the past, webmasters were quick to react when an update is launched by Google. This is especially true when search rankings were affected as it has a direct relation to the profitability of the website. It is safe to say that a lot of webmasters still tried to tweak and game the search engines even with Panda and Penguin updates. But this time with In-depth articles update, it is not easy to trick the search engine because the focus of the update is to reward long articles with a word count of 2,000 to 5,000. 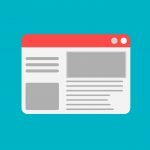 If your website has no published article of this length, then you should not be affected as there is no penalty for not having a long article in your website. But you may see your search ranking pushed to the second page if the results will show first the top three sites with articles benefited by this algorithm update. This is why there is a clamor to put the in-depth articles section on the bottom of the first page so as not to affect the search rankings of other sites. What is not clear is how Google bots can differentiate an in-depth article from one that is not. Certainly the word count alone should not be the sole basis and this is obvious from Google pronouncements itself. What makes an article in-depth is subjective to say the least because many people have differing opinions on what is a fully informative content from what is not. As per Google announcements, they found out that about 10% online searches were for in-depth articles. This means that the bulk of online searches which is 90% are not looking for long articles. The 10% could be people needing to read articles for research and they could be students, professionals, and those in the academe among others. Very few people actually spend time reading kilometric articles. What most online readers do is to read the first few sentences or couple of paragraphs and then move on if they feel that they need to look at other articles. Browsing is what most people do and most are immediately turned off upon seeing that the article to read is long. If your site does not cater to long articles then there is no need to worry because you still have 90% of the online searches to rely on. Most people love to read short and concise articles that can give them the information that they need in an instant. If the article is long, the strategy of most online writers is to break the article into so many sections so there could be a part 1, 2 and so on. This has actually benefited a lot of sites in the past and may still be applicable even with this new in-depth articles update. What you have to do is just focus on writing original content with no online duplicate. Writing and publishing long posts is useless if your site is not meant for it in the first place. Forcing yourself to write long articles may only backfire especially if it would sound redundant to your site visitors. What you have to do is to focus on writing for your readers and not for Google search bots. Unless your website is into news, feature or information then you should have no worries because they are not your competitors in the first place. The beauty about this new update is that the playing field is not affected for many websites because very few actually write 2,000 to 5,000 words per article. Your 500 to 1,000 words of articles are still not affected and can still give you good search rankings when optimized properly. Perhaps one of the positive effects of in-depth articles algorithm update for small websites is that now, 90% of online readers can automatically avoid the websites favored by search results. By knowing that those favored sites have long articles waiting for the reader, the latter can opt to avoid them because they do not want to read kilometric posts. It may initially be meant to benefit sites with long articles but in the end it can result to benefit smaller websites. The big websites initially benefited by the update may eventually see their visitor numbers for those articles dwindling down. But this is wishful thinking and still need to be verified later on with actual figures after a few months. Just continue with your usual white-hat SEO techniques and everything should be fine. Should you therefore worry about Google’s in-depth articles update? I think not. You can even benefit from it for all you know.